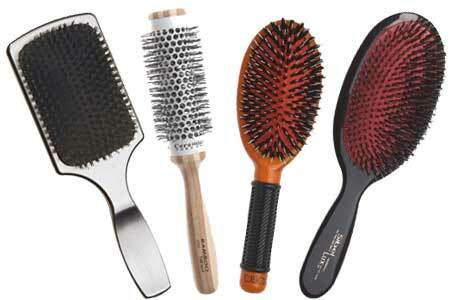 Stylish quality hairbrushes ideal for salon retail sales. Boar bristle brushes reinforced with nylon – perfect for daily brushing to improve condition. Nylon bristle – alternative to boar for short hair. Light anti-static bamboo styling brushes with nylon pins and ion-reflecting ceramic barrels. Luxury large rosewood brushes with boar bristle reinforced with nylon – perfect for the dressing table.